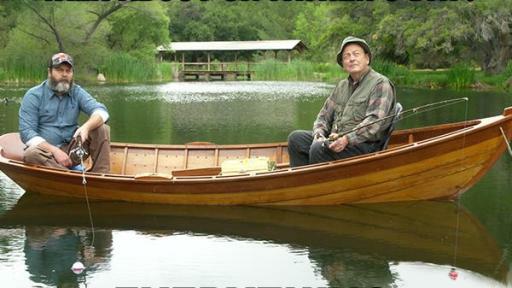 Spotted: Nick Offerman and his dad Ric fishing in a handmade canoe on a serene and quiet lake, communicating as only fathers and sons do. 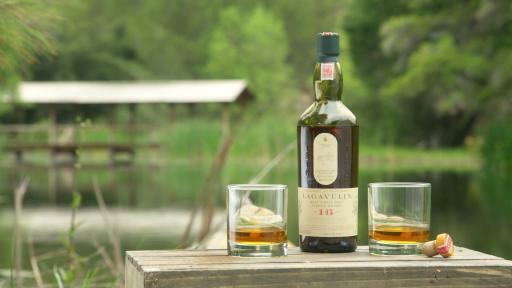 Grab your dad, pour yourselves a glass of Lagavulin and enjoy responsibly. Check out the My Tales of Whisky YouTube channel (www.YouTube.com/MyTalesofWhiskyOfficial) for the complete My Tales of Whisky series. However you enjoy #MyTalesofWhisky, Diageo, the makers of Lagavulin Scotch whisky, and Nick Offerman, remind you to enjoy your whisky in moderation. 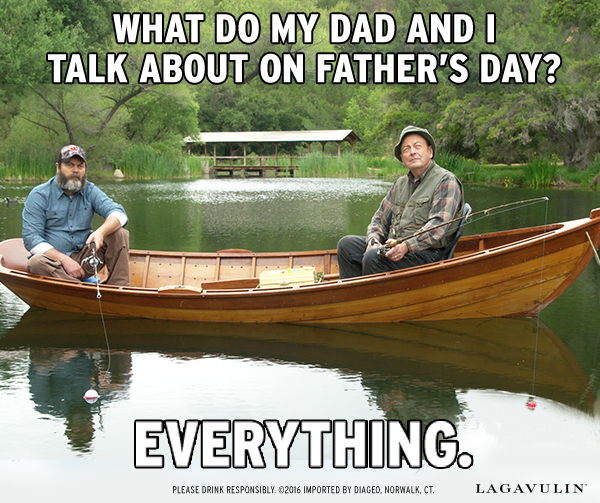 Nick Offerman is an actor, humorist and woodworker. He operates Offerman Woodshop in Los Angeles, where he and his co-op build custom furniture, canoes, ukuleles and other sundry items. Offerman has authored 2 books, “Paddle Your Own Canoe” (2013) and “Gumption” (2015), with his third effort “Good Clean Fun” arriving October 2016. He co-stars with Michael Keaton in a new film The Founder, premiering August 5th, the same month in which he will hit the road once more with his astonishing bride Megan Mullally and their riotous Summer of 69. Diageo is the world’s leading premium drinks business with an outstanding collection of beverage alcohol brands across spirits, wines and beer categories. These brands include Johnnie Walker, Crown Royal, JεB, Buchanan’s and Windsor whiskies, Smirnoff, Cîroc and Ketel One vodkas, Baileys, Captain Morgan, Tanqueray and Guinness. Diageo is a global company, with its products sold in more than 180 countries around the world. The company is listed on both the New York Stock Exchange (DEO) and the London Stock Exchange (DGE). For more information about Diageo, its people and its brands, visit www.diageo.com. For Diageo’s global resource that promotes responsible drinking through the sharing of best practice tools, information and initiatives, visit www.DRINKiQ.com. What do my dad and I talk about on Father’s Day? Everything.